A medium sized lake with the problem of being in the middle of the "highway" into the rest of the lakes. It is fairly shallow compared to some, hosting an occassional trout, and some small catfish. It is fed from snow melt, and has an outlet consisting of a dam, which feeds Rock Creek. 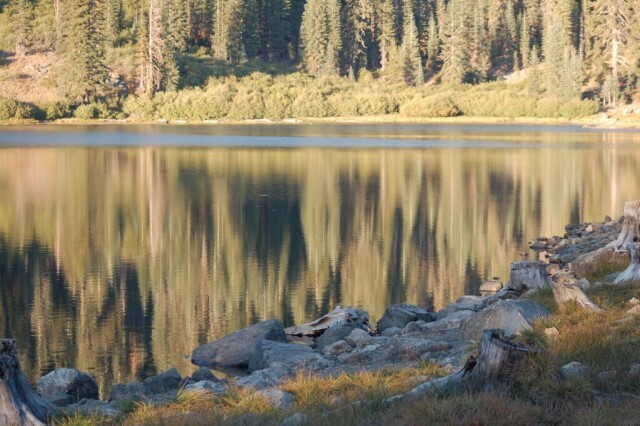 Camping is at three designated sites, in addition to the lake edge to the north of where 6E11 route passes through. Another about in the middle on the south east side, and one at the far end. 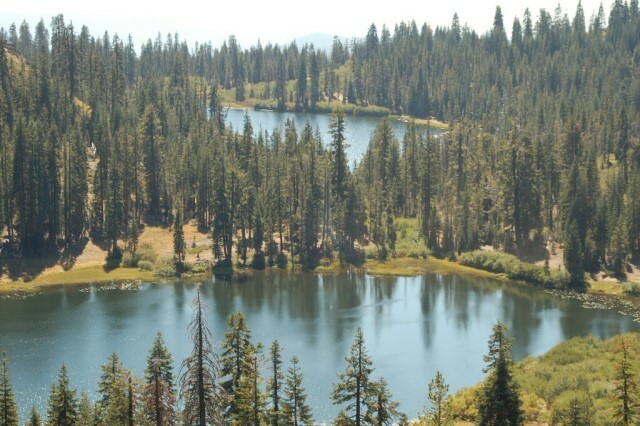 This is one of the busiest lakes, as it is closest to the entrance, and further travel may limit some lesser-equipped vehicles. 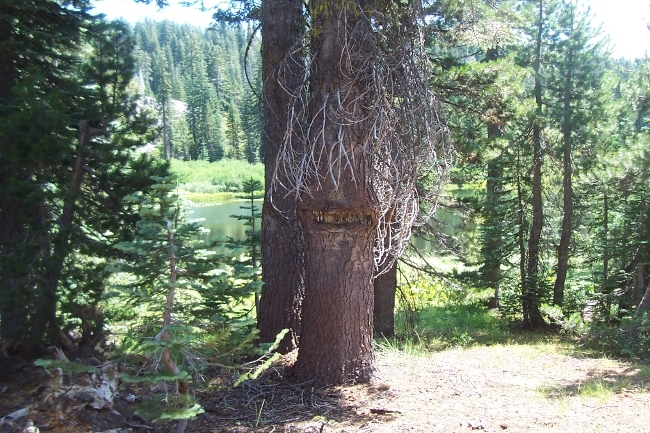 Spring Valley Lake is mostly on private property, owned by Sierra Pacific Industries (nee Diamond Match Lands, since about 1904), except for small portions on the edges of the east and west sides. This lake has two camping spots, one at the dam and one along the east side. Fishing can be good at times. In the past it has had quite a bit of day use, and not a lot of camping, but because the trail into it has had way too much resource damage from users who could not navigate the waterfall have chosen dozens of routes around it. This route has been adopted and mitigated of the issues. 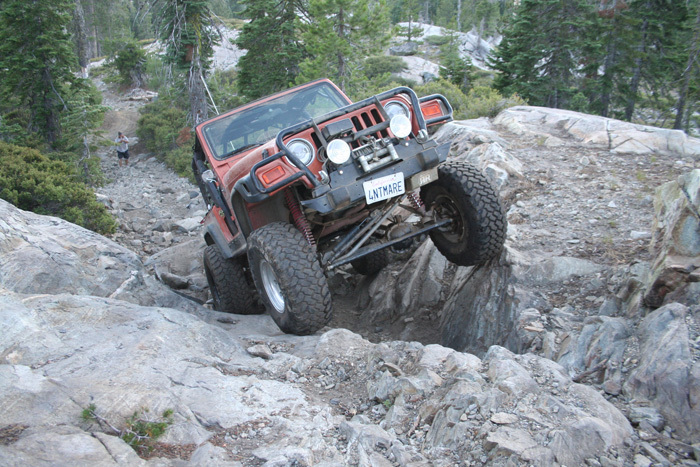 You MUST stay on the existing trail, and if you can't get there, must turn around. No bypasses are allowed, or that will create a permanent closure. It is a peaceful lake. A fairly shallow lake which over the past years has seen vegatation growth taking over the water area. Small catfish nip your toes and trout take worms and flies. 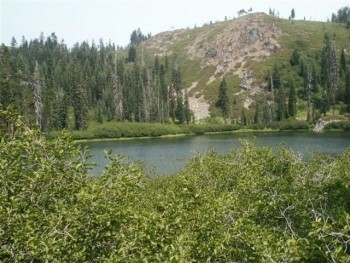 The lake is fed by a waterfall off the ridge to the morth, and Rock Creek coming down from Spring Valley Lake. 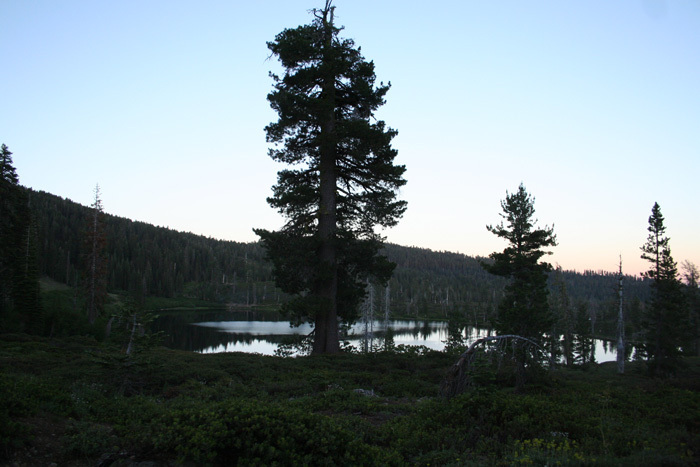 Camping here is isolated, quiet, serene, peaceful, and seldom more than one or two camps, if any. There is space for one or two camps at the south east end of the route. An additional walk-to camp exists at the north west side. 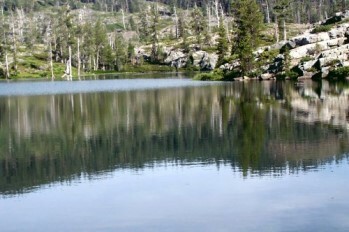 Morris Lake is one of the largest of The High Lakes. At one time it was accessable from two sides, but the route off 6E11 from the south was closed in 1976. Remaining open, today, is the rocky route from the west to the dam. 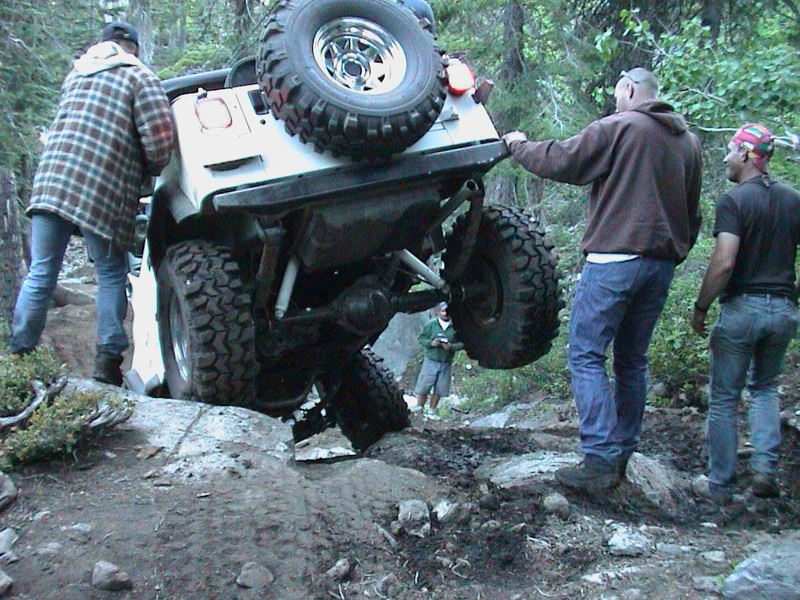 This route is not recommended for stock or the lesser equiped vehicles. 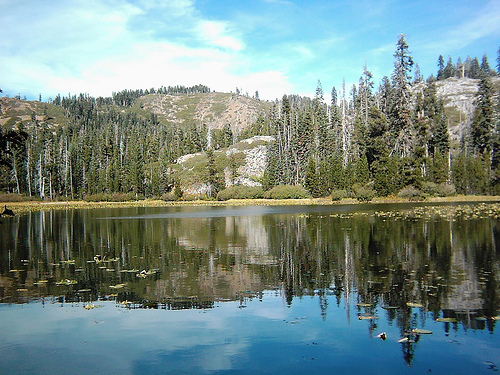 Morris Lake is one of the prettiest lakes, as well as being the deepest, and holds trout and catfish. Somehow the catfish got introduced around the middle 80s, and they range in the 2 pound area. The trout can be large as well, 16-18 inches, although some are smaller, and some larger. 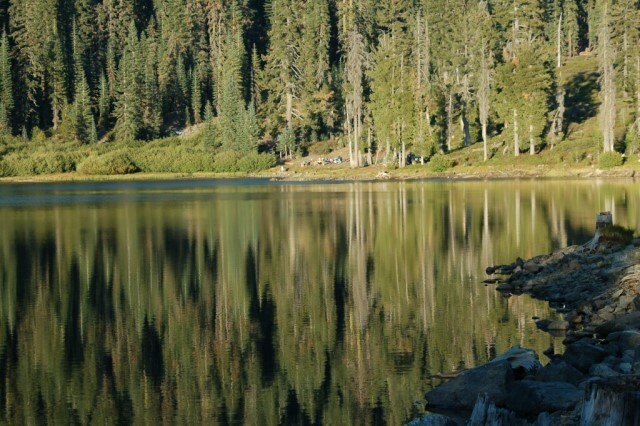 The lake offers minimal camping opportunity, however, with 2-3 sites, maximum. But usually very few campers, if any (besides Ken), stay here. Solitude, peace and quiet are the benefits of the rugged drive in. This is the second largest lake in The High Lakes, having shallow parts, and deeper troughs. Both ends, north and south have very shallow parts, here vegatative growth is very visible. Fishing in the past has been excellent, but in recent years, sketchy at best. 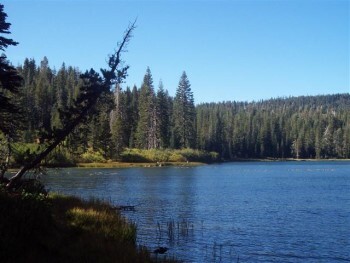 This lake offers the largest number and largest in size camp sites. But being the busiest, it always, even mid-week in the peak season, has crowds. It is a very pretty lake, and very popular. Long Lake is fed from several streams and its outlet is at the dam at the south end. 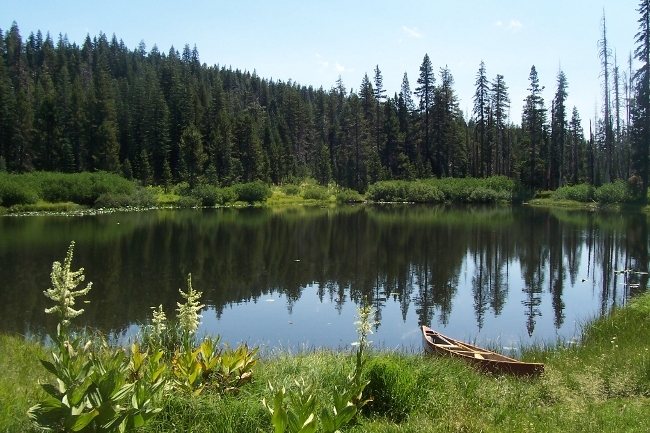 A considerably smaller lake just north east of Long Lake and joined to it by a small creek. At one time, historians tell me, that Long Lake / Campbell Lake were once just one lake - Campbell Lake. It has several camp sites. One between the two lakes but at the edge of Campbell Lake. A very large camp site at the north west end of the lake, but not near waters-edge. There are a couple smaller sites along the west side. 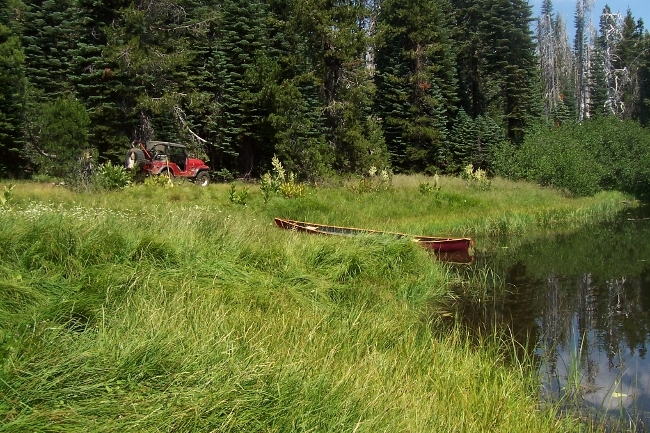 Fishing here can at times be excellent, rainbow trout and brook trout of various sizes. I've seen some over 5 pounds, and two breeders, that must have weighed ten pounds or more. 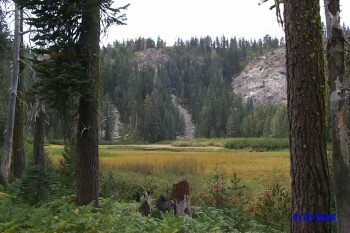 Grassy Lake is partially covered with vegatation, lilys and grasses. There is a small camp site here, on the south side. A pretty setting, but not as desirable for camping unlike most of the rest of The High Lakes. Chips Lake, which is actually two lakes, with a smaller one below the visible one. 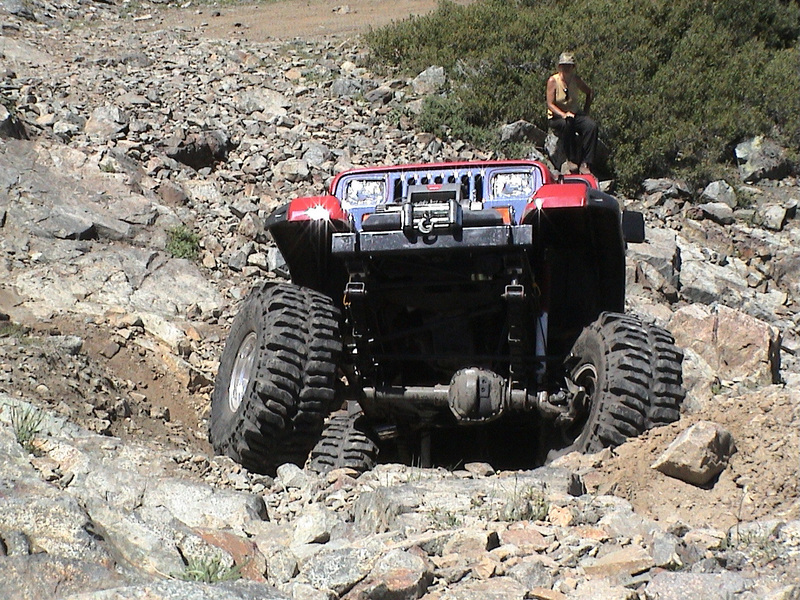 It is a hike-in-only lake as there is no way a vehicle of any kind, other than helicopter could "do" the rock climb. While not far, it is a very steep hike, with little or no markings of any trail - some very old cream colored marks on rocks show the best route in and out, best described as a "rock scramble". 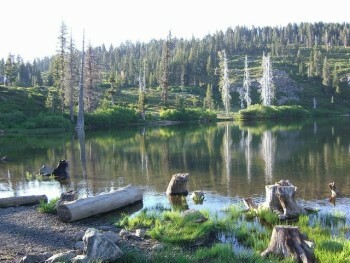 The trip is worthwhile for the hardy though, as parts of the lake produce nice trout, and great solitude. 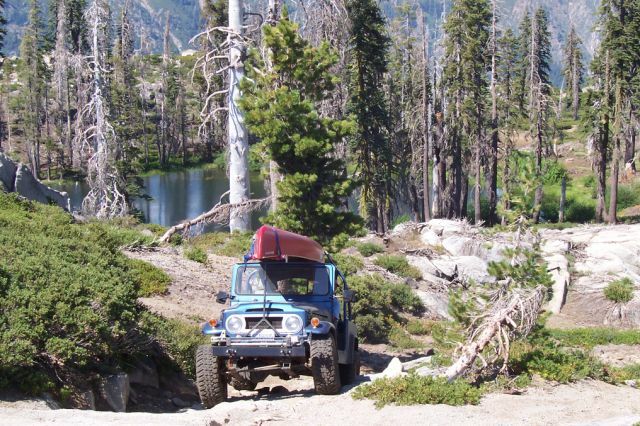 The route towards Chips lake(s) ends at a snow pond, where camping is possible, successful fishing isn't. From there because Chips Lake is in a non-motorized area, one needs to walk from the snow pond to the cliff overlooking the lakes. 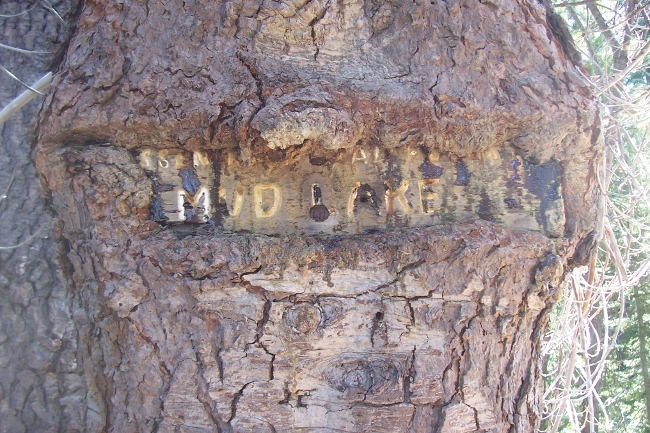 Much of the property at Lotts Lake is privately owned, with several cabins. Notably the Native Sons of the Golden West,The Hume family. The Stratton Family, and maanaged by Lotts Lake Association. The USFS does hold a portion of the rocky, steep edge at the north side, accessible from the 'T' on a foot trail. This lake is suitable only for non-motorized day use. 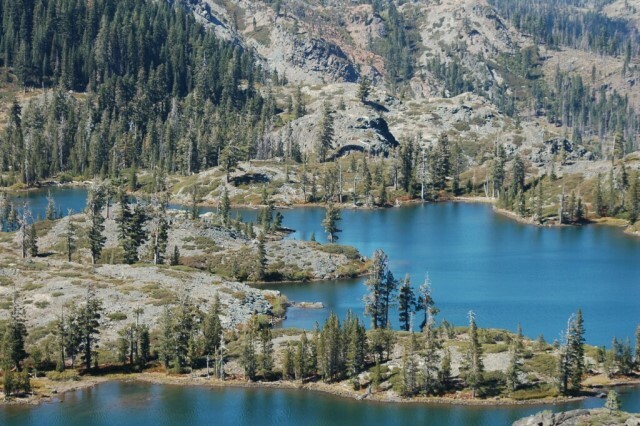 This remote lake is peaceful, quiet, having but one small camp site. 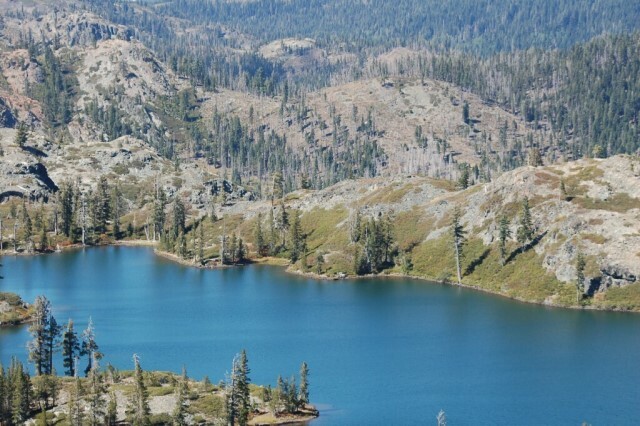 Three very seldom visited lakes to the north off Soda Ridge route 26N22. 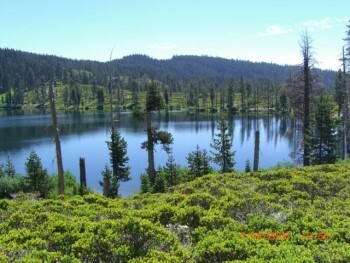 The smallest of the three is Frog Lake, with Green Island and Saucer about the same size. The hike is about 1/4 mile off the route across Soda Ridge. 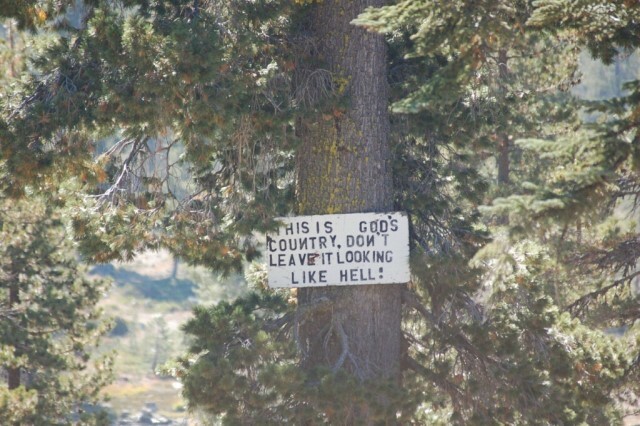 Access can also be found from the graveled road 26N31 off Humbug Summit to a trail head, and hiking in on 5E05, with a trail going to two lakes, but not Frog Lake. 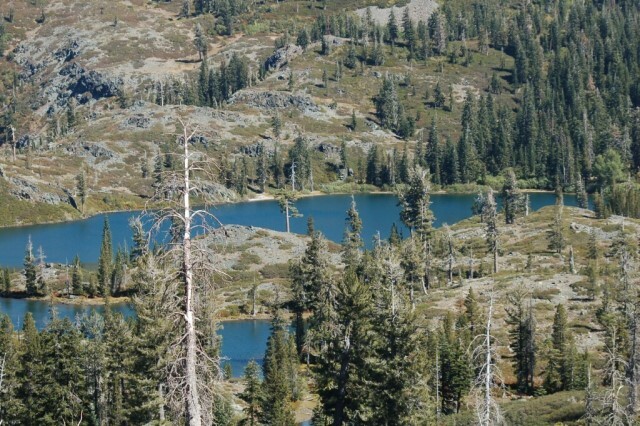 These two lakes are hike-in lakes, with access off to the south side of 6E11. Mud Lake and Murphy Lake both feed the beginning of Chambers Creek.